Language translators are very useful tools at places where a small translation can make your job 100 times easier. In this article we will tell you about one such Language Translator tool based on Microsoft's Silverlight technology using which you can quickly translate between four different languages. Since the application is available online you can use it on not only your Windows 7 Phone but on any phone having an web browser. The language translator can be accessed at: http://os75.com/apps/Translator.html. All you need to run this application is have the latest version of Microsoft Silverlight installed. The tool has been so designed that you can access it bot on your desktop and your Windows Phone 7. In case you have a Phone that supports the silverlight plugin from Microsoft, this translator can be run on that device too. Translations are carried out via the MS Translator API. 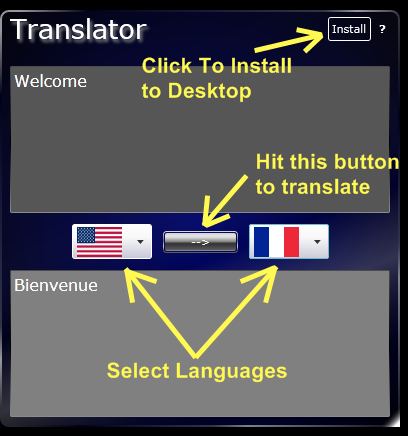 This screen shot will pretty much explain you everything on how to use the translator. 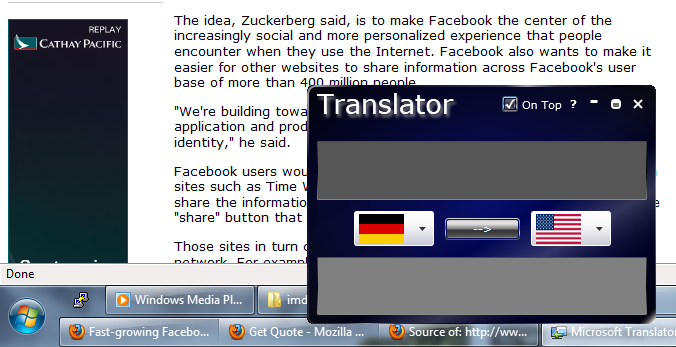 That's all about this tool - The Language Translator. If You are facing issues while using it or setting it up for your desktop, then do ask for help in the comments. We would be more than happy to help.